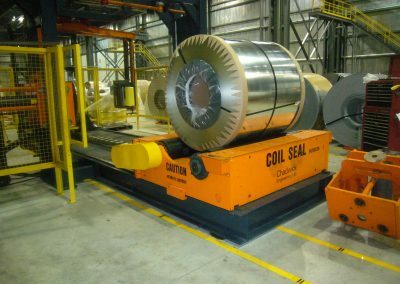 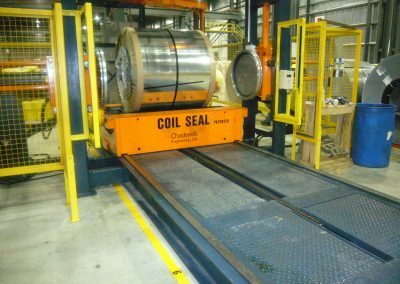 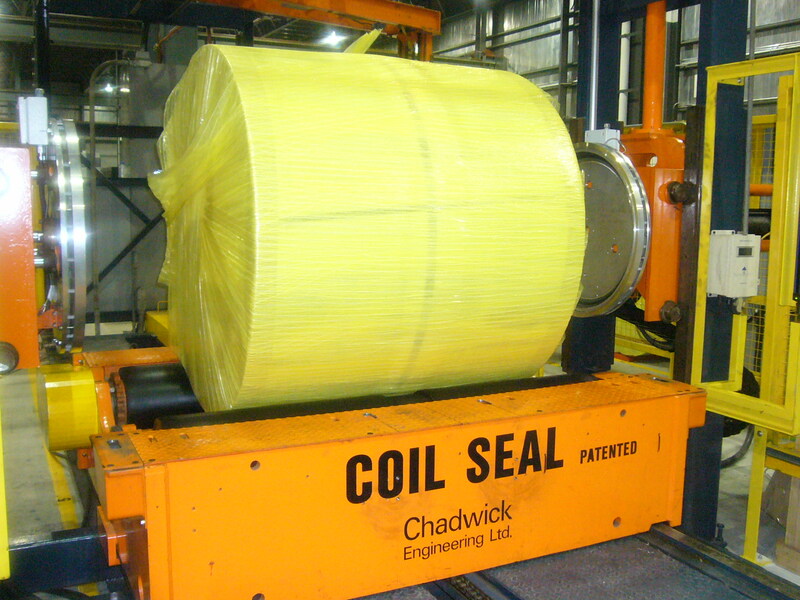 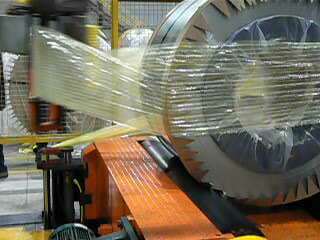 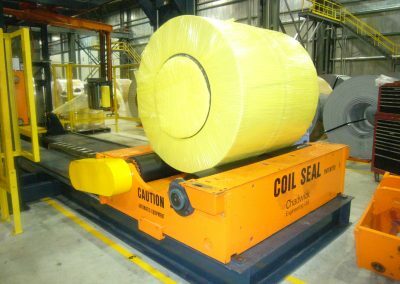 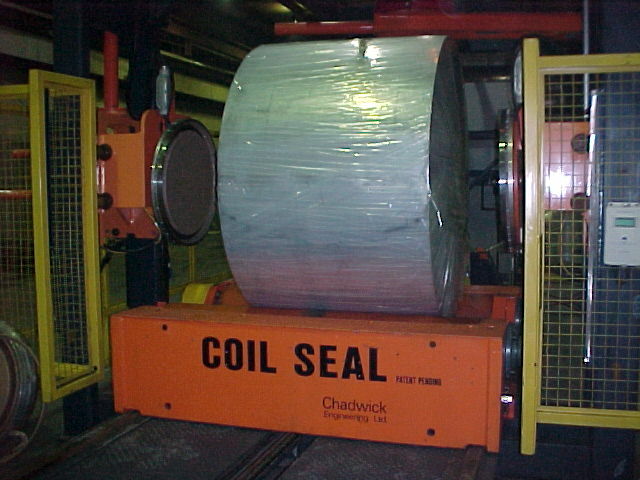 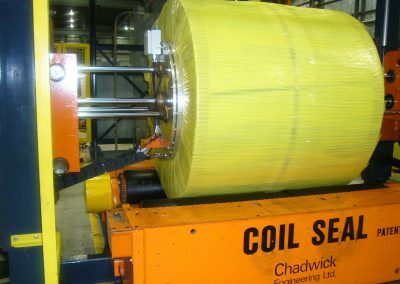 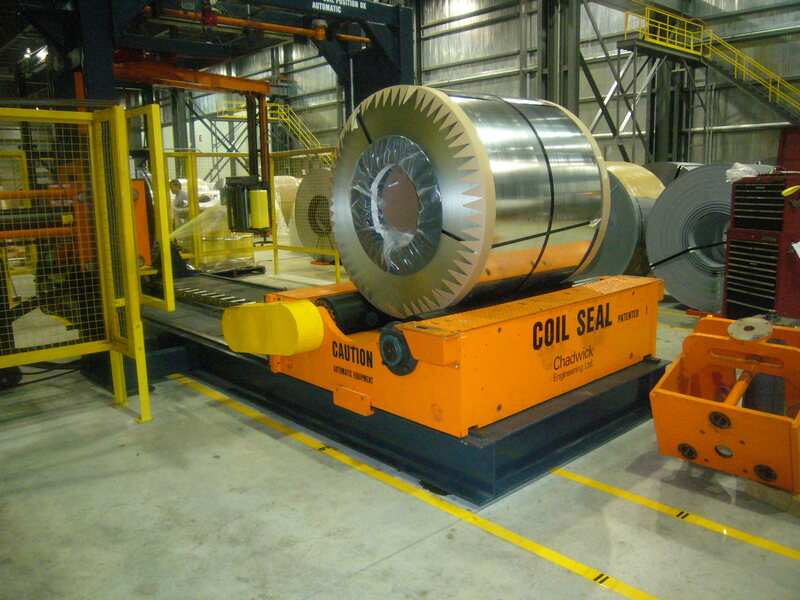 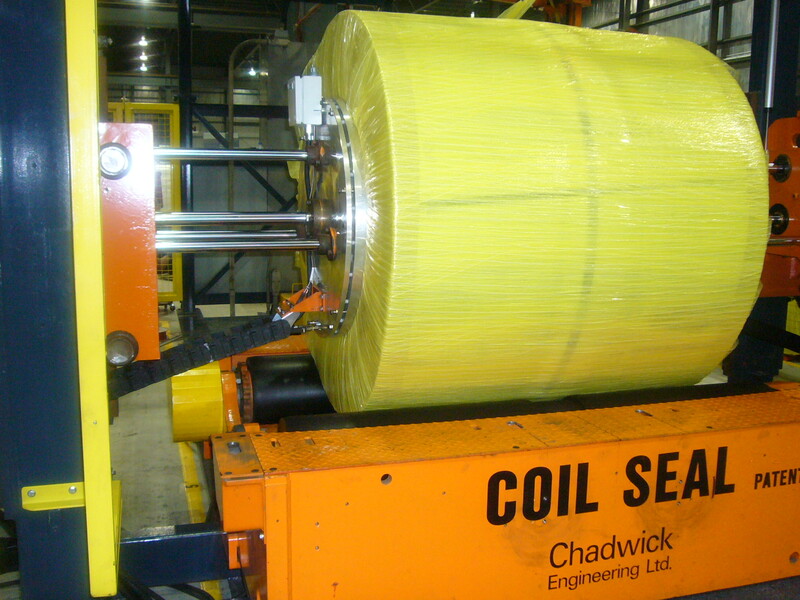 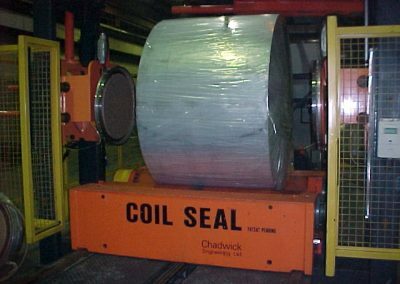 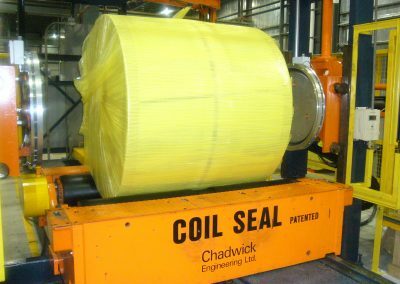 Chadwick Engineering specializes in the design and fabrication of specialized coil packaging equipment. We have developed and patented COIL SEAL technology. 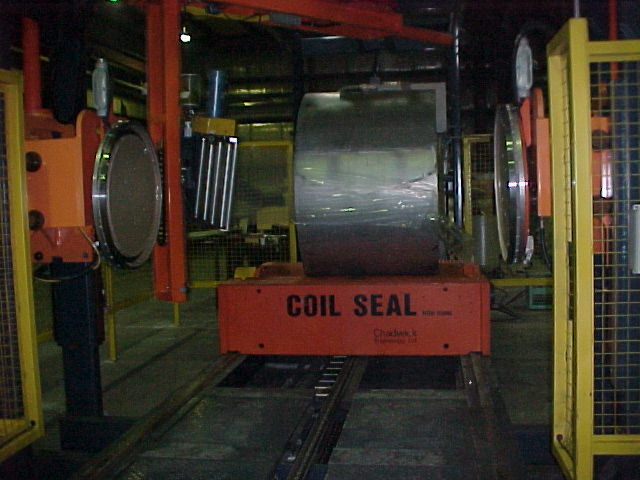 COIL SEAL is a process that packs a coil in the eye horizontal orientation. 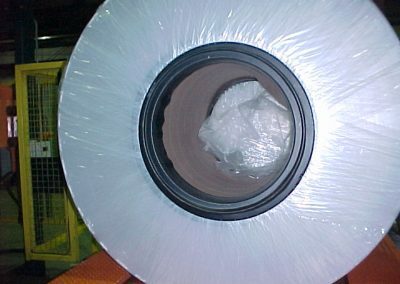 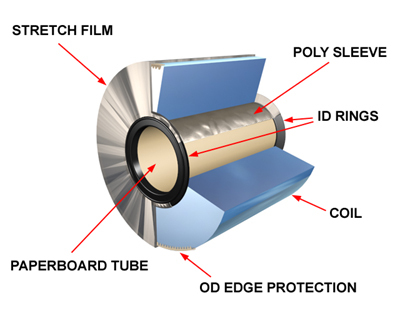 After packaging, the coil is completely enclosed with poly film while the inside diameter (ID) is left open for coil handling and tie-down.